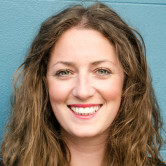 Forget New York's infamous peregrine falcon's and throngs of tourist helicopters taking to the city skyline, Mondelēz International-owned Oreo set out to be the only talked about aircraft this week. The brand flew five giant cookie-shaped drones over The Big Apple to recreate the famous milk dunk. In time for the brand’s 105th birthday on 6 March, also known as National Oreo Day, the “Drone Dunk,” saw drones drop cookies into cups of milk set up on a barge alongside the river. The stunt was linked to a social media campaign where Oreo lovers posted photos of their own dunks on Twitter or Instagram. According to AdWeek, some cookies were dropped from the drones at the same height as the Statue of the Liberty, which stands at 305 feet tall. Oreo is not afraid of a marketing stunt or two and made global headlines in 2013 for its “Dunk in the dark” tweet during the Super Bowl. 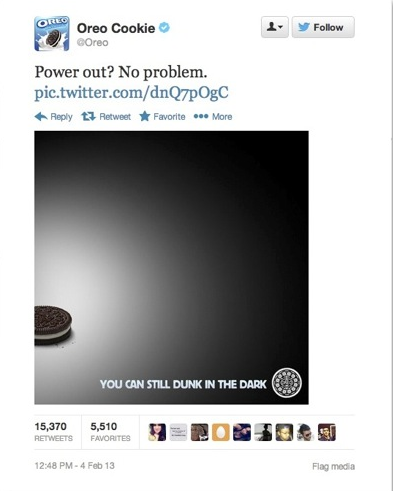 While everyone was complaining about the blackout on Twitter, Oreo stole the show with a "You can still dunk in the dark" tweet. It scooped more retweets than some of the Super Bowl ads.